With the growth of a practice or clinic, you as the practice owner may begin to experience a loss of control and a feeling of being run off your feet. Sometimes a trapped feeling ensues and there can seem to be no time to manage. Often it seems that the financial return takes a turn for the worse as well, even though you seem to be working harder. This can all be very frustrating. 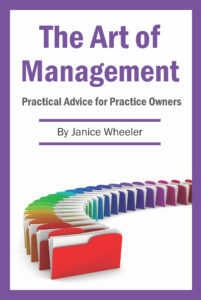 On top of everything, managing staff is often a problem practice owners experience because they are untrained on how to be an effective executive and leader. Additionally, it can be frustrating not being able to spend time managing your staff because you are always with patients. As a result, when you do have some time to deal with staff, you may basically find yourself micro-managing them which would never go over very well. 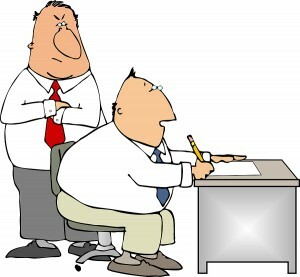 To handle this difficult situation, you need to implement a system of management that makes your staff accountable for their production using objective methods to monitor them (statistics) and provide incentives for increased production (just like you have as the owner – you are basically on a straight bonus system). Having full job descriptions and protocols and a practice policy manual also give the tried and true guidelines for your staff for handling most practice situations. Again, this takes the pressure off you regarding training a new staff member or feeling like you need to oversee every little detail that your staff are taking care of. Then managing staff becomes more of providing objectives and goals to achieve within certain parameters, taking the onus off you and giving some independence to them to use their unique gifts. For boss training and tools, call us! Stay Fit … Increase Income? It’s Got Sidewalks!